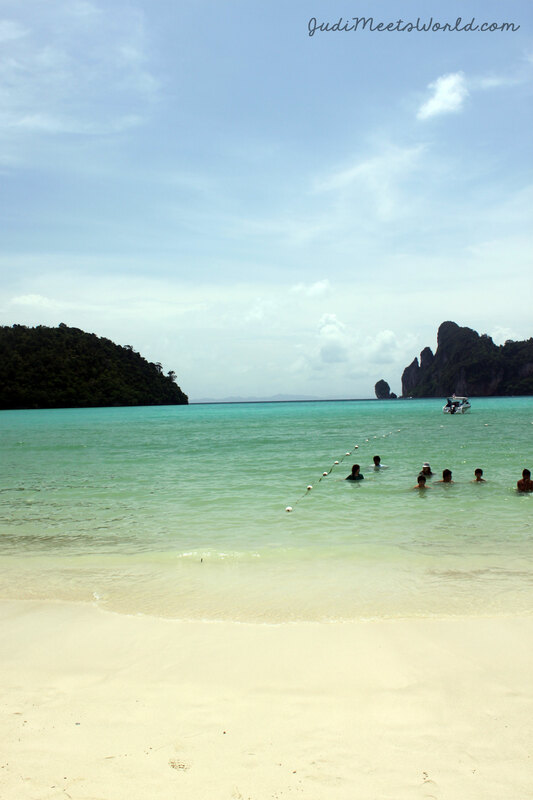 Phuket – paradise in Southeast Asia found in the Andaman Sea. 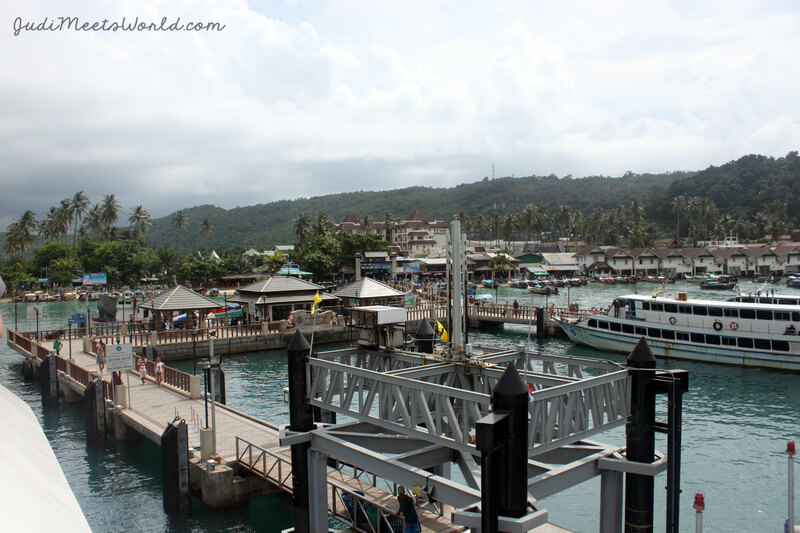 Phuket is a series of mountainous islands and one of Asia’s most popular beach destinations. Many tours take you to see the famous rock formations jutting out of the pristine waters and even take a break to let you swim and bask in the island’s beauty. 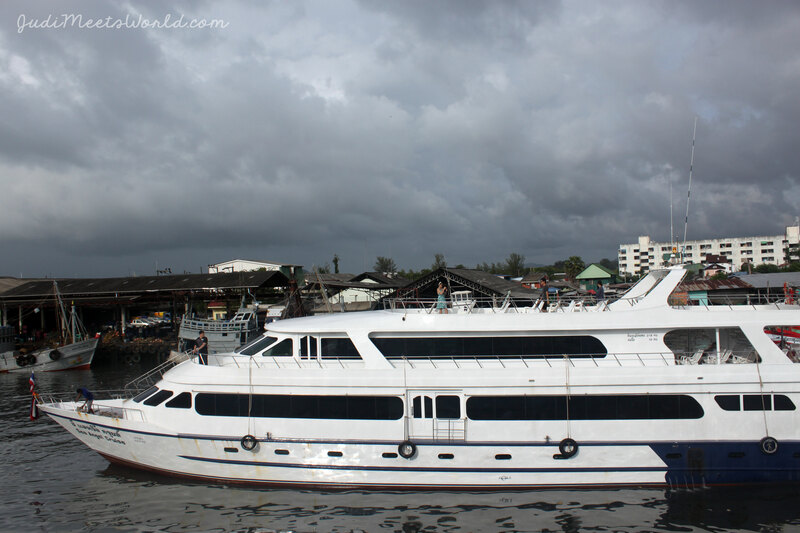 It began to rain so we had no choice but to go into the interior seats of the catamaran. 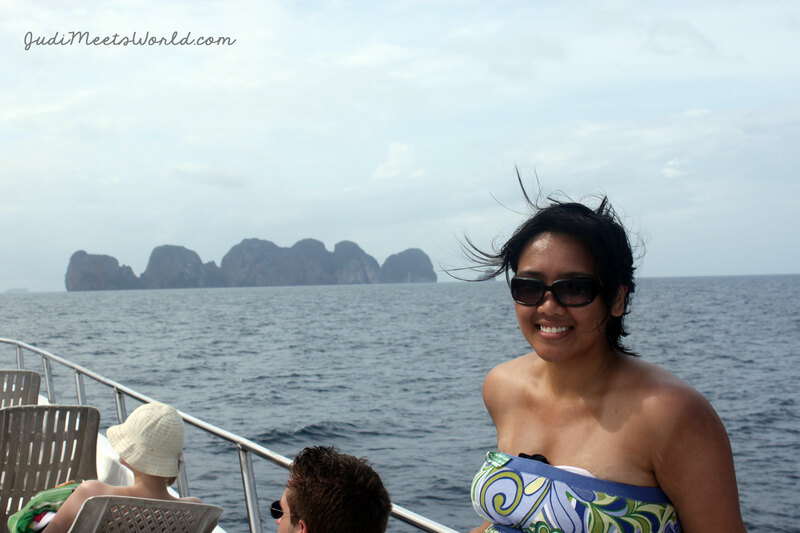 With some lucky, the rain let up and we were able to swim and snorkel in the Andaman Sea. What a treat, and to see all the fish, species we were unfamiliar with, swimming around us! 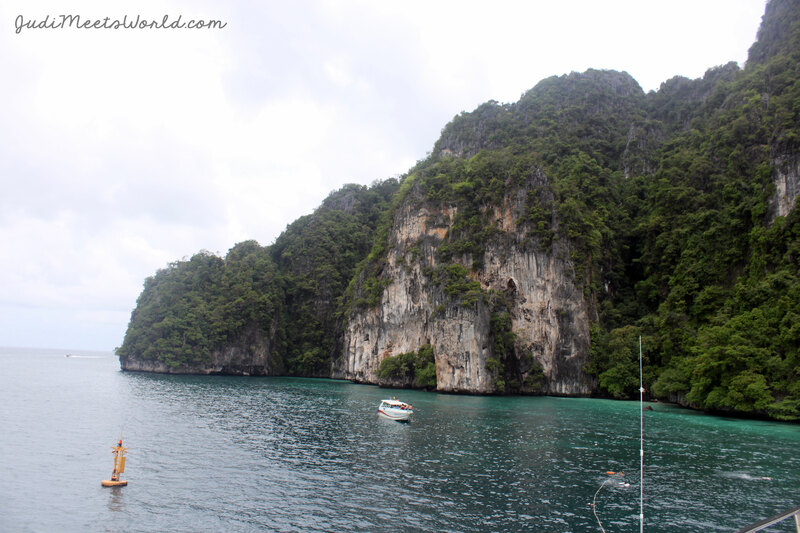 We sailed past the Viking Cave and James Bond Island, but eventually made our stop at the beautiful Maya Bay, which you may have seen in the movie The Beach. Here, we had our lunch buffet, shopped, and spent some time just enjoying the beautiful views. What brought you to Phuket in your travels? Already dreaming of the day I return.